Vicki here...I'm changing up the typical card project and replacing it with a scrapbook layout using four of the dies from Tutti Designs April release. 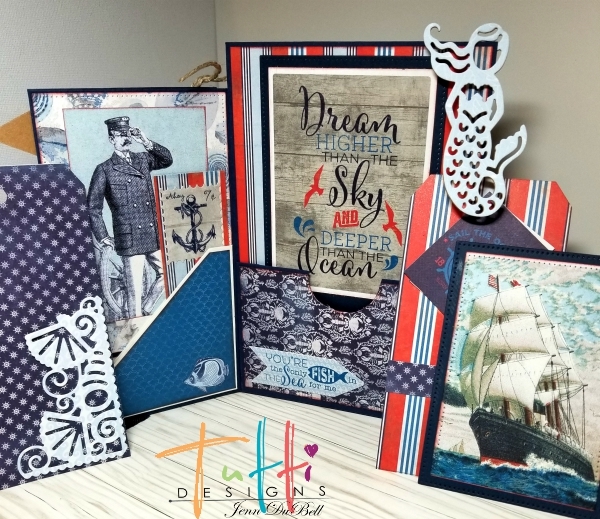 If you haven't seen the newly released nautical dies, stop by the Tutti Designs Store and add a few to your stash today! I've used Coral, Coral Reef Corner, Fishing Net, and Under the Sea to embellish this 12 x 12 layout. 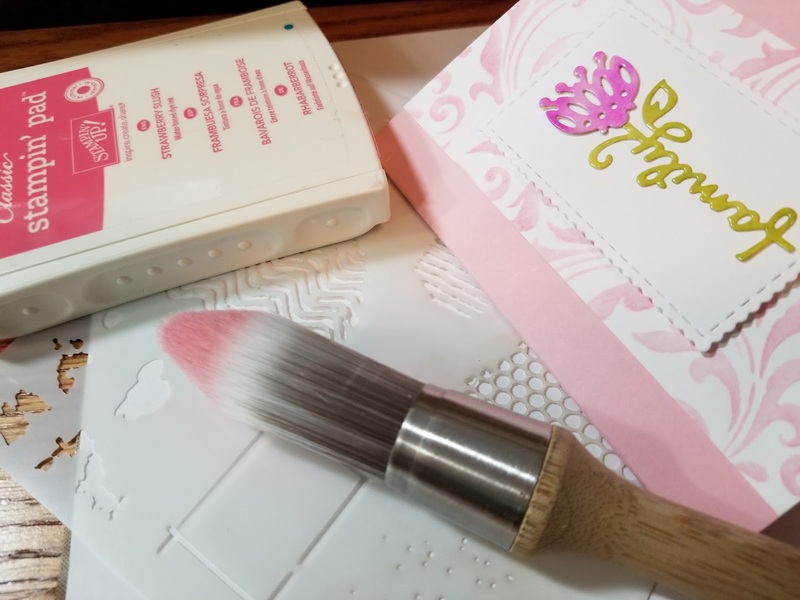 These die cuts were perfect for our granddaughter's recital photo. And, the dance theme was "under the sea"! 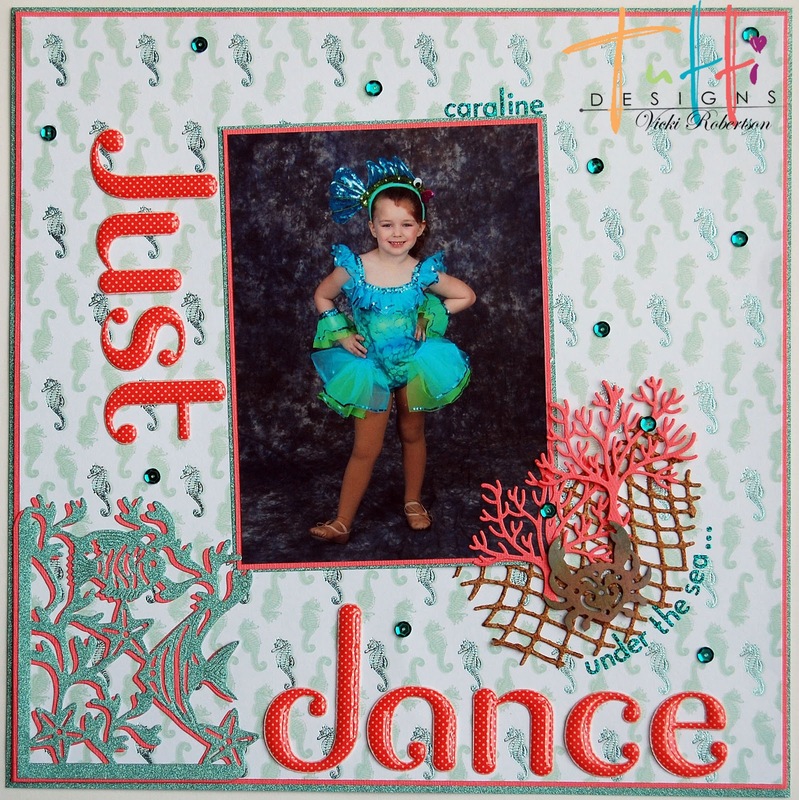 The Coral Reef Corner was cut twice, one from turquoise/green glitter cardstock, and the matting from coral cardstock. The Fishing Net is cut from cork for texture and the Coral has added dimension using foam tape. I cut the crab from the Under the Sea die. 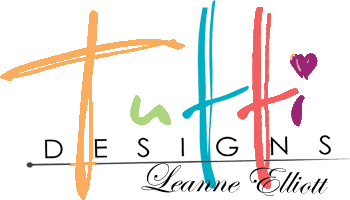 Thank you for stopping by to share my Just Dance inspiration for Tutti Designs! 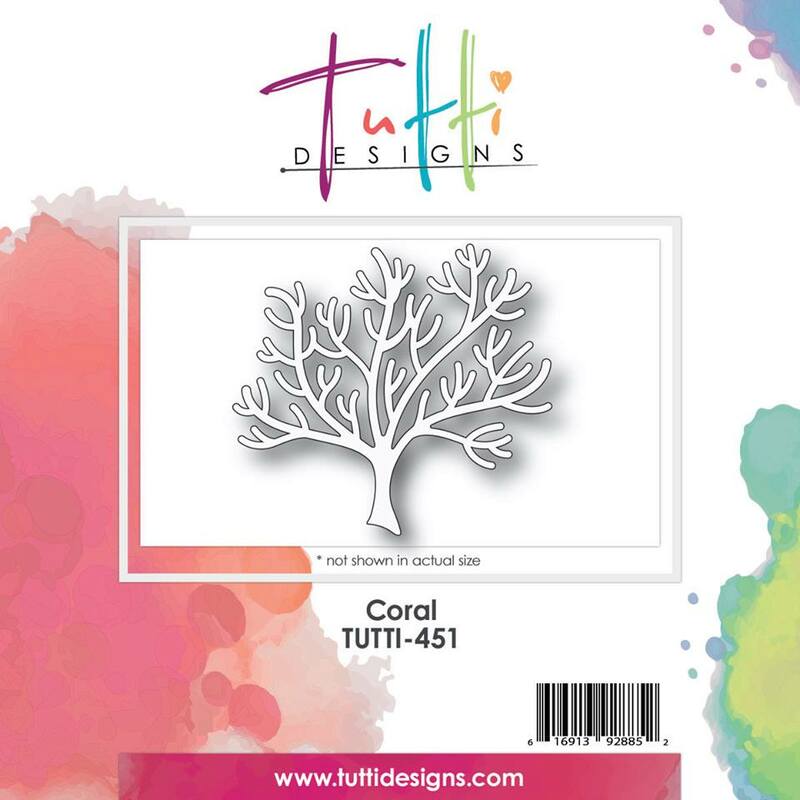 Be sure to visit the Tutti Designs Store for all available die cuts in the most recent release along with the full inventory of Tutti Dies. 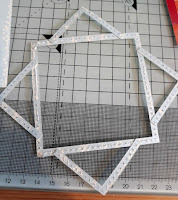 I started with the large to create the square, then cut with the next die to create a frame. I did this a few times. 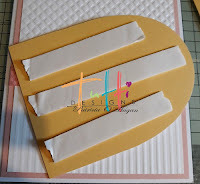 simply glue in place to cover the cuts. 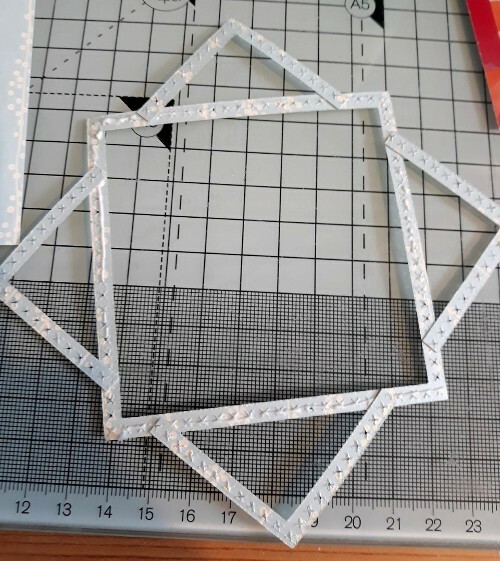 using dimensionals. The centre will hold my photo. and placed the die as above to get a bottom line of crosses. 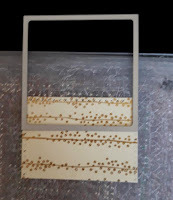 I used top and bottom of this square to get two frames. 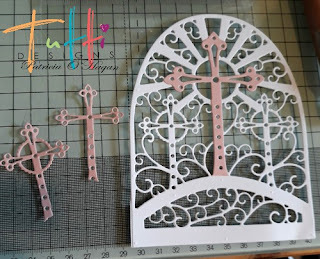 I added some little punched crosses, pearls and wording. Sorry to block the centre but I don't like sharing kids photos online. 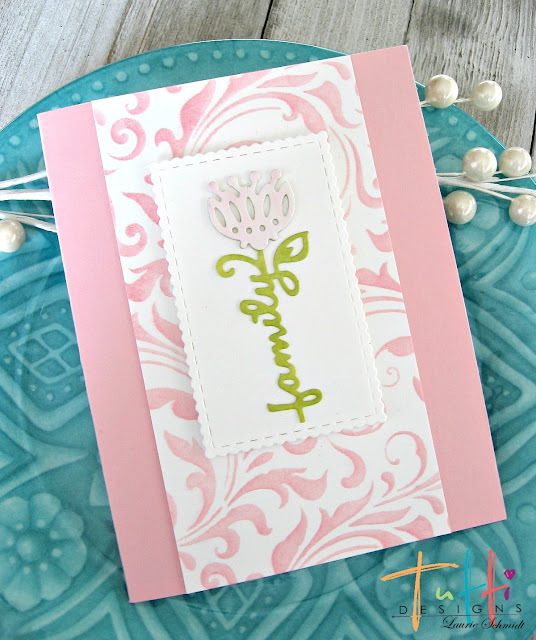 Hi everyone, Laurie here with a fun spring card using Tutti's Flower Family die. These are such sweet flowers! 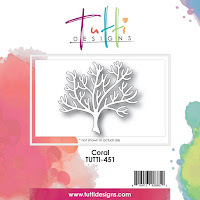 Tutti has 7 of them, each with a different word stem and flower top. 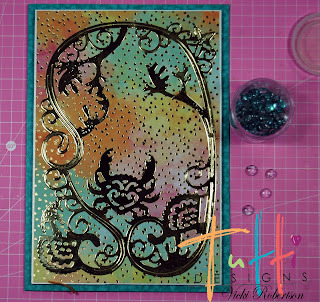 I cut mine out with some alcohol ink papers I had made. 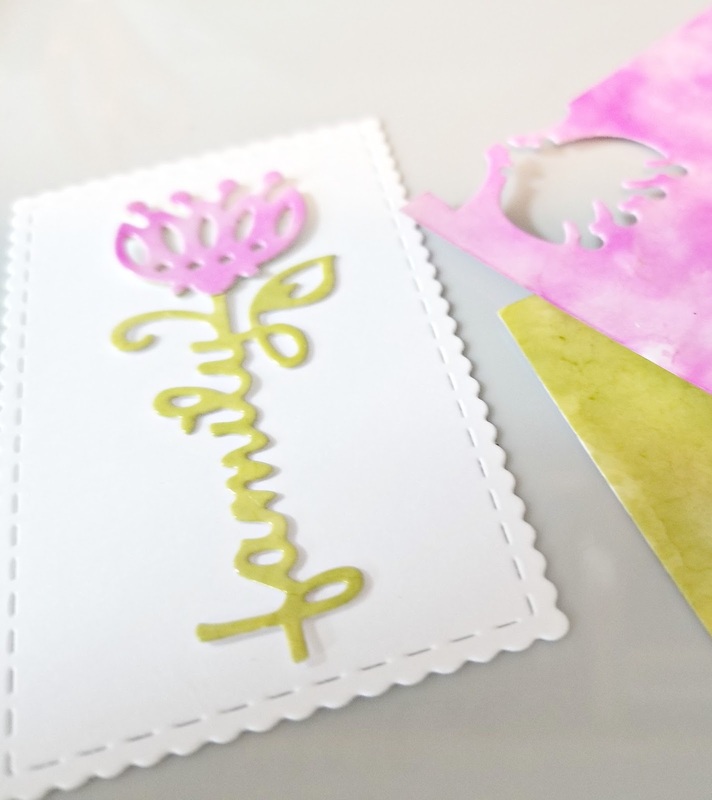 First I cut it out in the green, then just the flower top in pink. I adhered that onto the green. 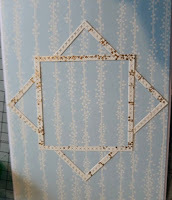 Then I adhered the completed flower onto a Tutti scalloped stitched rectangle. 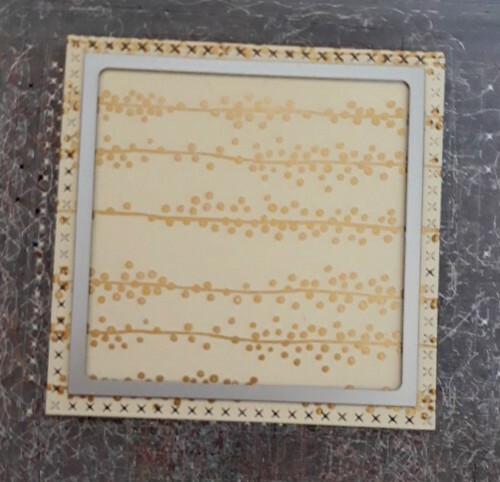 For my middle panel, I used a stencil and a Claritystamp brush. I brushed on some pink ink very lightly, for a soft look. Then I adhered it altogether! Thanks for stopping by, see you next Friday! Hello! 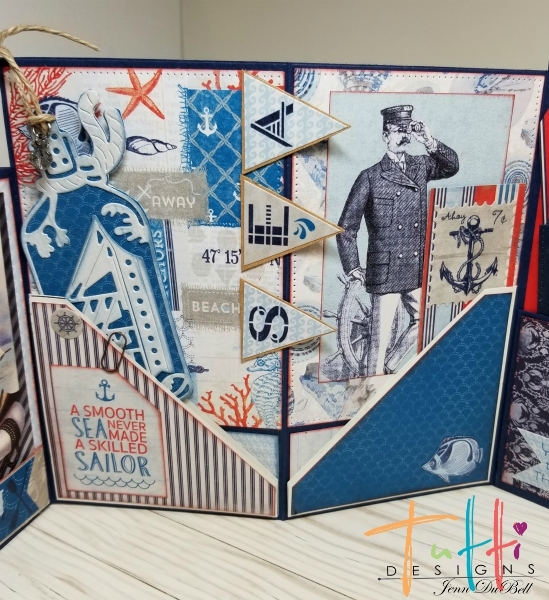 Jenn here today, sharing with you this fun folio I created using the newly released dies from Tutti Designs along with the Seafarer paper collection from Authentique! 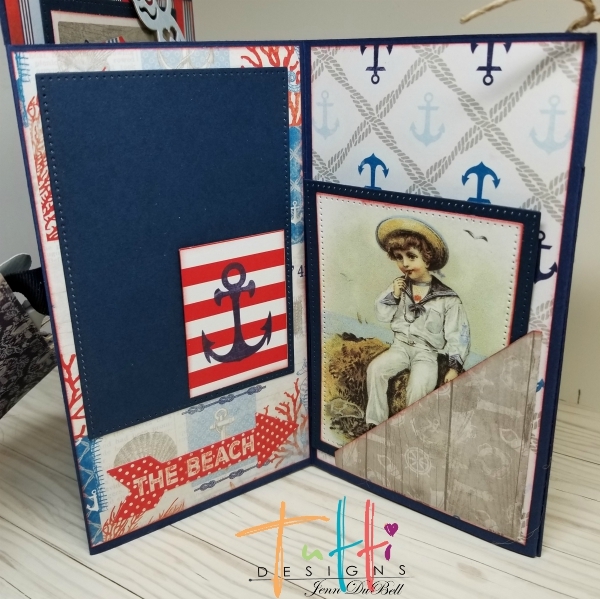 This folio card started as a base in which I used a tutorial by Kathy Wright Clement. 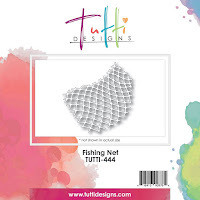 Kathy has some great tutorials for fun folds and folios on her YouTube channel HERE. 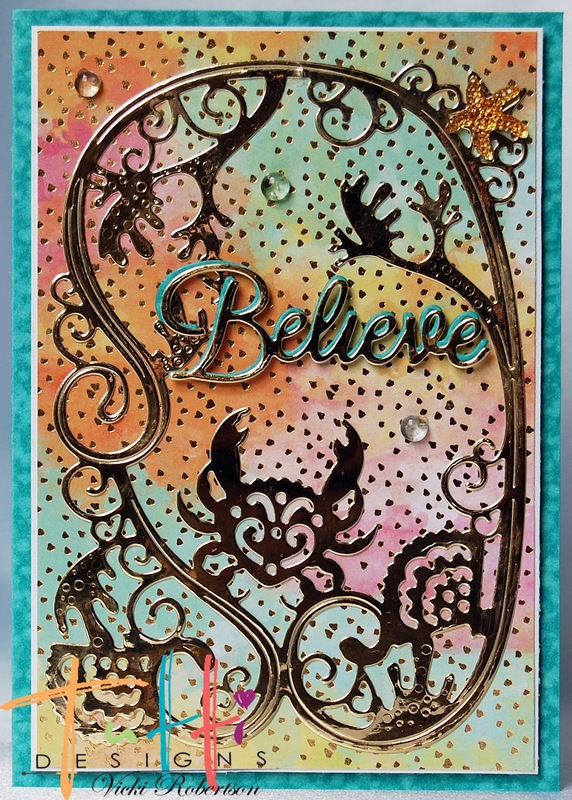 Once my base was built, I added lots of fun embellishments, cut-outs, sentiments, and journaling cards. I added many elements on the pages to allow for pictures to easily be added as well. 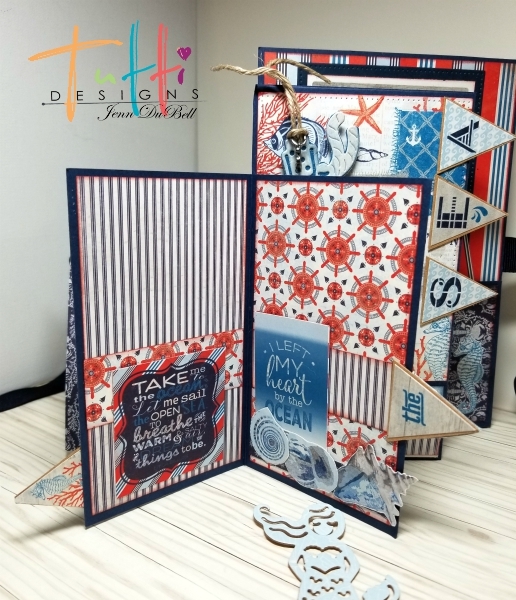 Please enjoy the following picture by picture walkthrough of this fun folio! 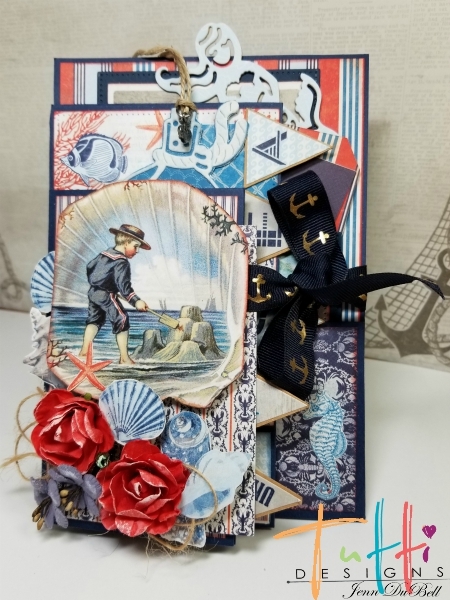 I absolutely love the new mermaid die! She easily can be added anywhere like a paperclip! 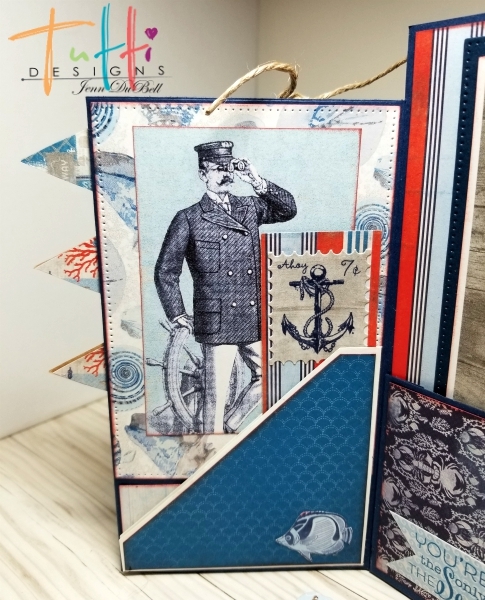 For the new ship in a bottle die, I adhered it to a patterned paper for a standout effect and then fussy cut, punched a hole, added jute and an anchor charm to create this super fun tag insert! 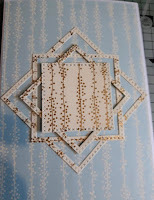 I used the dotted nesting rectangle dies to create the matting for some of the pages. 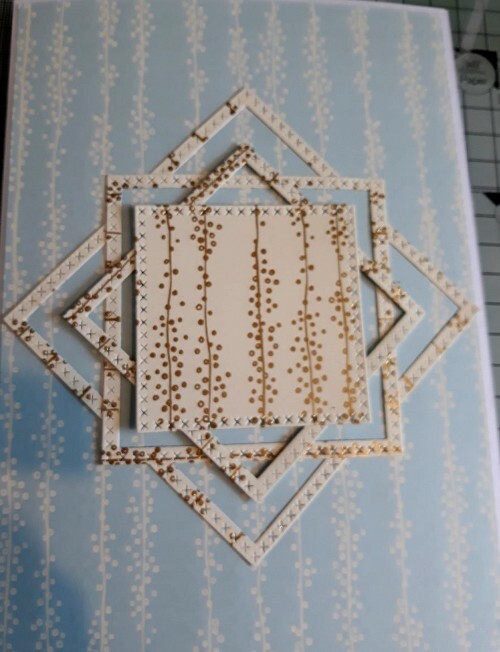 I love how they add a touch of texture with the dots! 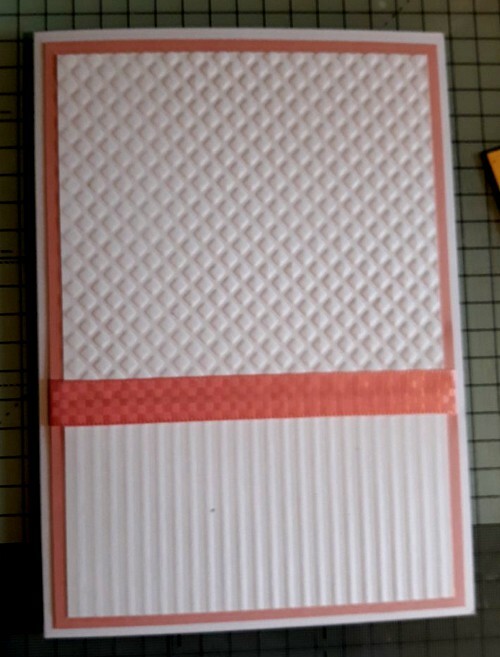 I used chipboard to create tabs in the folds of these pages. 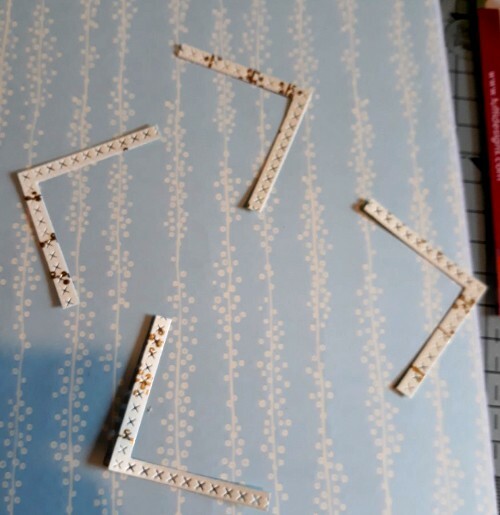 They also spell out Under the Sea when the folio is closed. 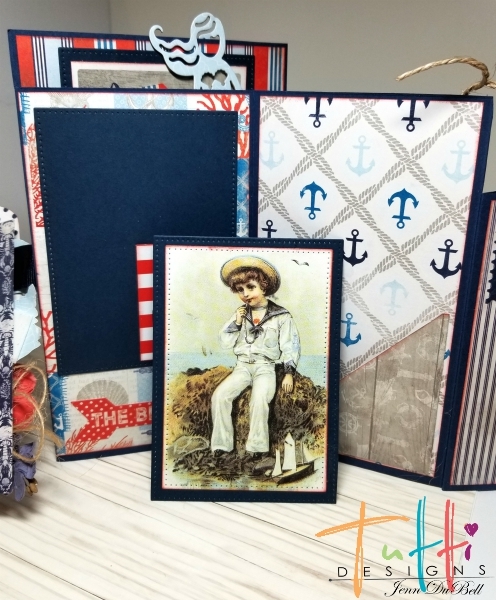 I just love all the fun elements you can add to a folio! 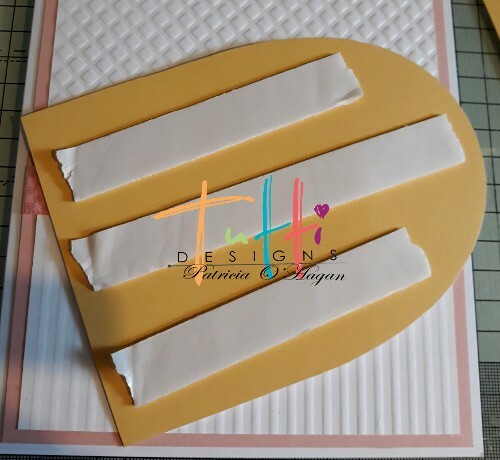 For another tag element here I used the seashell corner die and adhered only the outer edge to the paper to allow for a picture to be slipped in. There's that adorable mermaid peeking out again! As you can see by using the inner part of her face she can be clipped on anywhere! 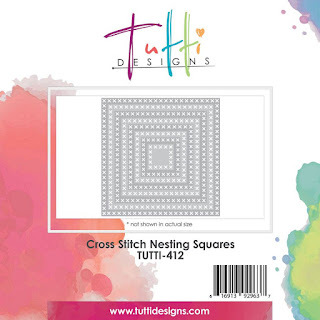 The mattes in the background were cut with the Dotted nesting rectangles dies. This was also done to create the journaling card. 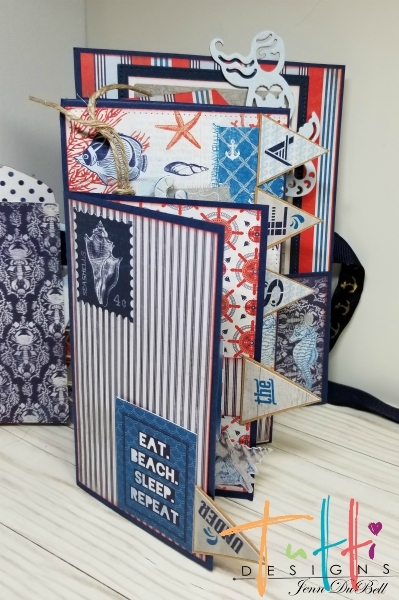 Once you build a base for a fun fold card or folio such as this, there are endless possibilities to what you can create! Thanks so much for viewing my post today! Until next time! Happy crafting!! 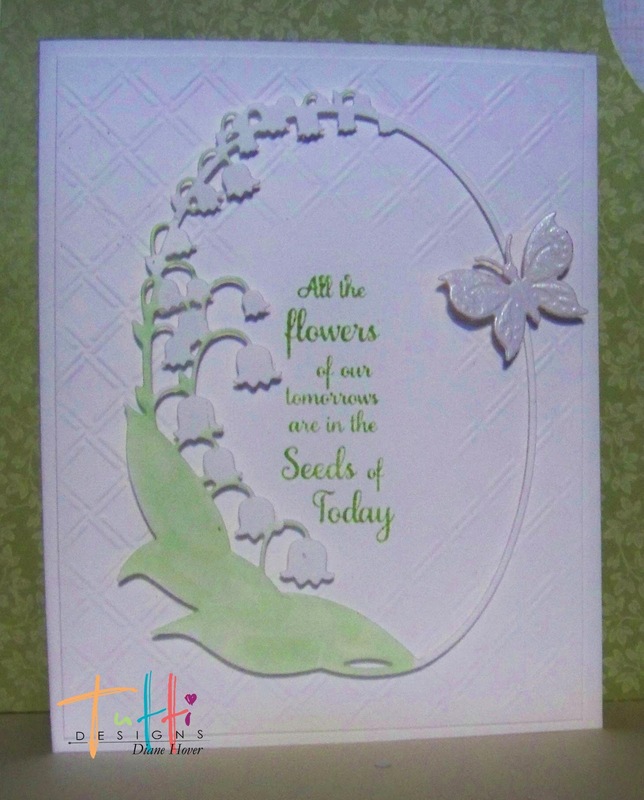 Thank you and welcome back I am here to share my card with you. Using the wonderful Tutti Designs Dies. 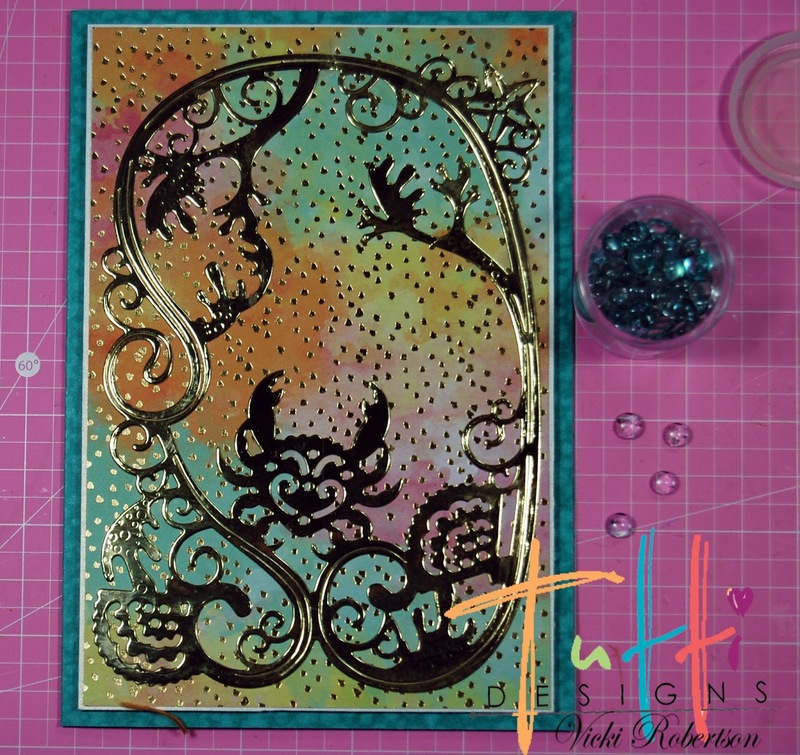 As well as the fun Lily Heart Panel die, I stamped on pattern paper and colored these Moose, and Sending Warm Fuzzies, Happy Anniversary, using Memento Ink. Copic Markers, and white Gel Pen. Liquid Glue, Foam tape. 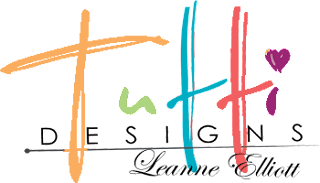 Thanks again for stopping and for these dies and more wonderful inspirations stop by the store, blog and for all the links, see below. Until next time Happy Crafting! 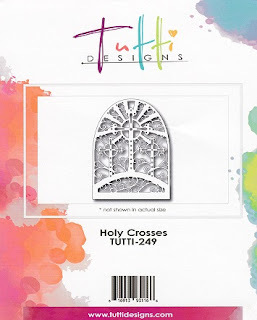 Tutti Designs Lily of the Valley die. then colored in with Copics on the leaves only. a flat place to add my sentiment. 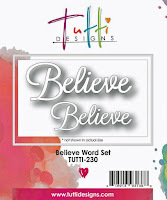 A tiny butterfly was added to finish. 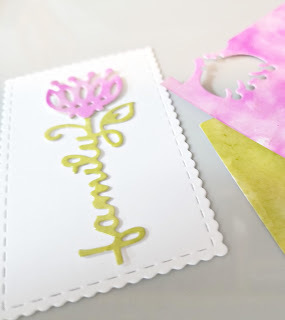 but adding Cloud Nine glitter to the flowers. 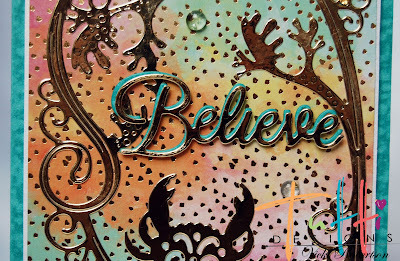 The sentiment was stamped directly on the oval. Thank you for visiting with me today. Vicki here with you today. I am so excited to share "Under the Sea" from the April 2018 release. 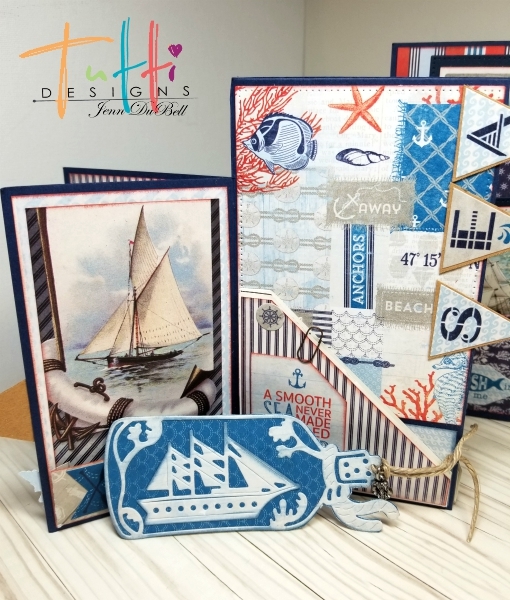 The eleven nautical themed dies in this release are now available for purchase in the Tutti Designs Store. 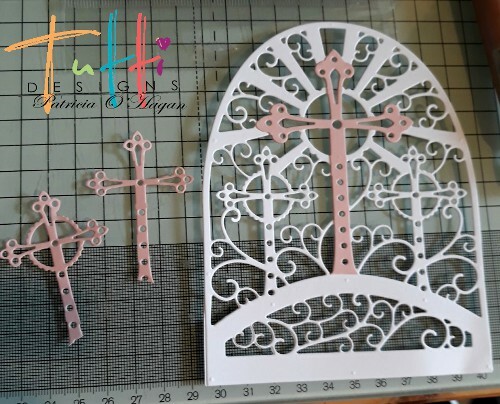 They are amazing and a must have for your die cut collection! When I hear, "Under the Sea", I can't help but think of the Little Mermaid, Sebastian the crab and all of the fun characters from Disney's Little Mermaid movie. 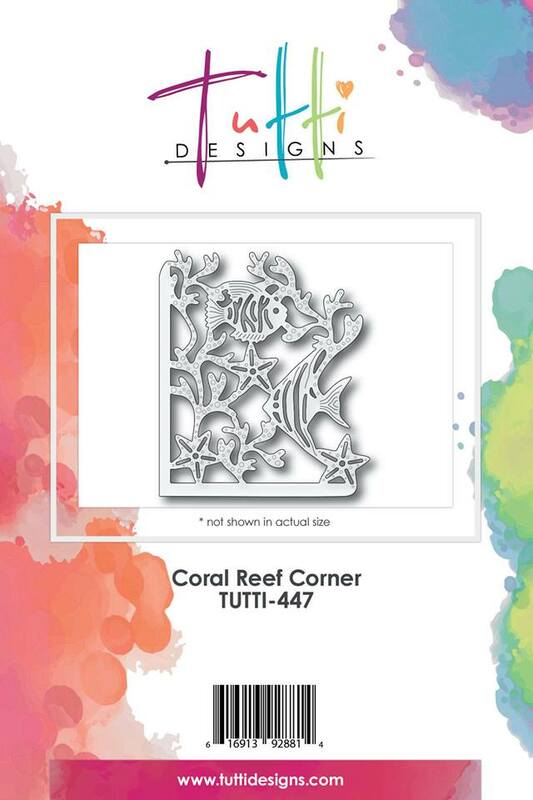 It's one of my all time favorites and the reason the new Under the Sea die is now a favorite too! Here's my inspiration using the new Under the Sea, and the Believe Word Set. 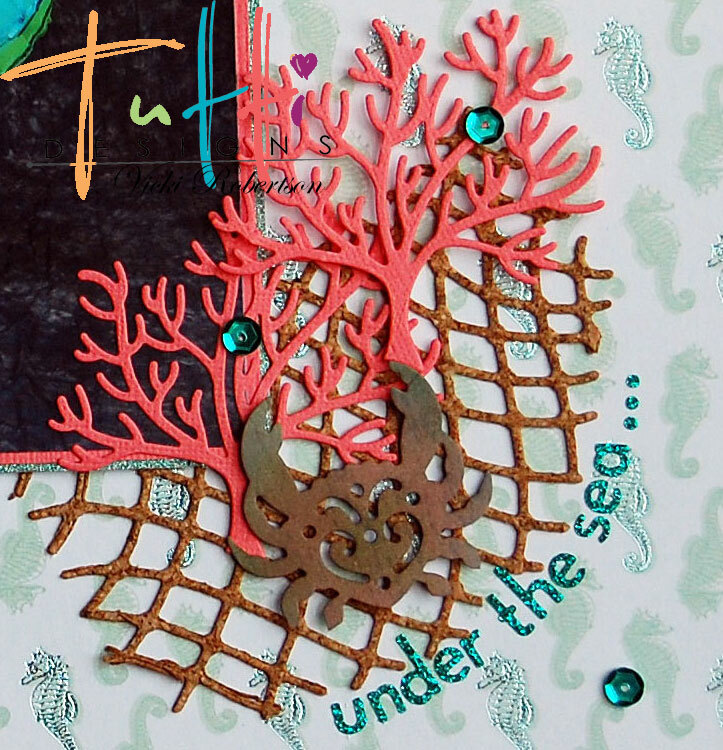 Wow, this Under the Sea die cut is so elegant cut from gold metallic cardstock. 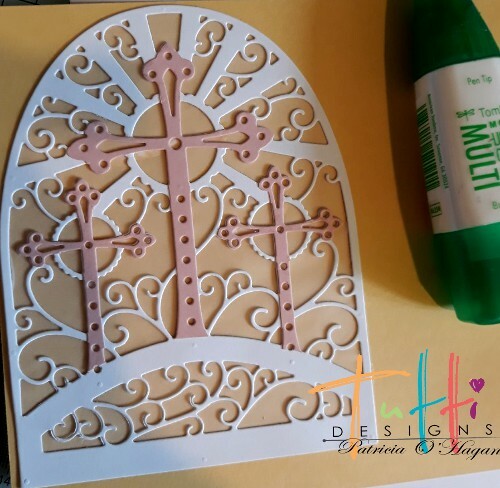 I wanted to show off all the details without using a lot of embellishing. 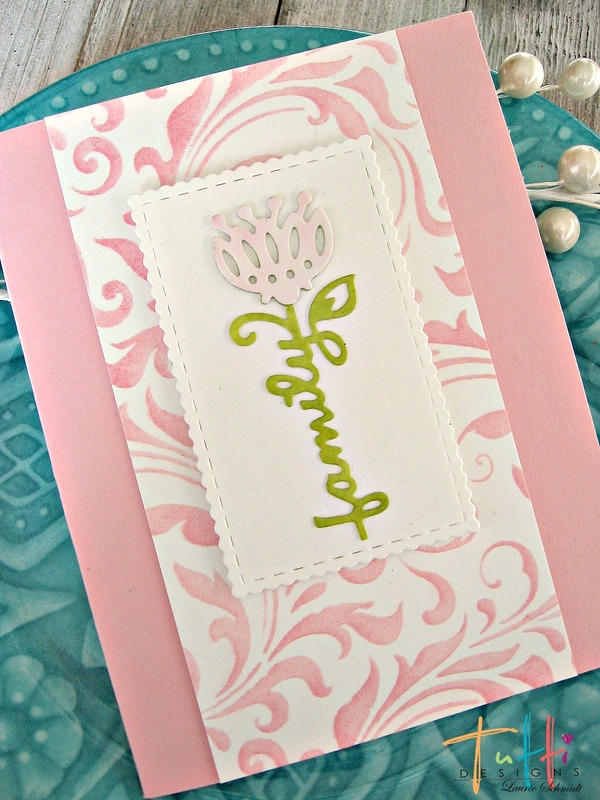 The card base is an older embossed cardstock that I've had in my stash for years. It's layered with water color patterned paper that has a tiny gold fleck design. 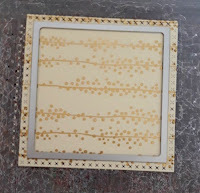 I matted this with a fine edge of white cardstock. 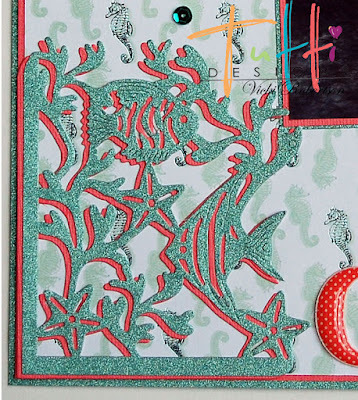 The minimal embellishing includes blue dew drops for water bubbles and a sparkly, gold starfish. The sentiment, Believe, is also cut from the gold metallic and matted with the same cardstock as the base. 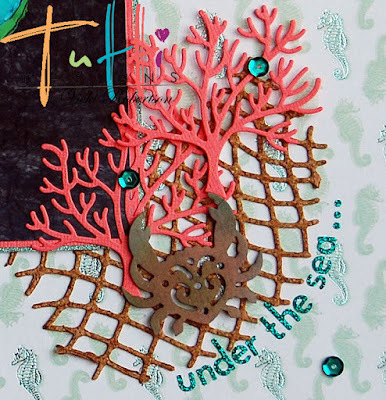 It fit perfectly in the frame created by the Under the Sea die. 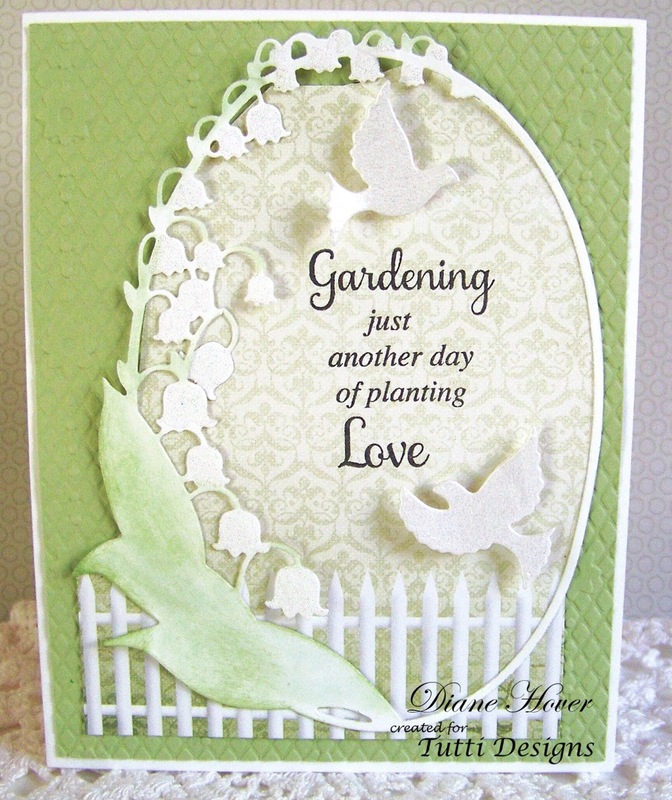 Dew drops are always a fun embellishment to use as water droplets. Thank you for stopping by to share my "Under the Sea" inspiration for Tutti Designs! 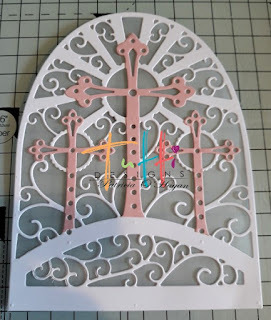 and cut away the crosses from the pink die cut and adhered them on top of the white ones. 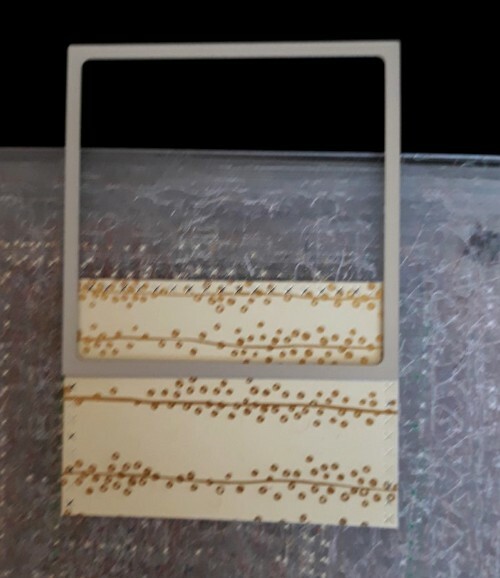 which I then trimed away. and trimmed away the yellow access. 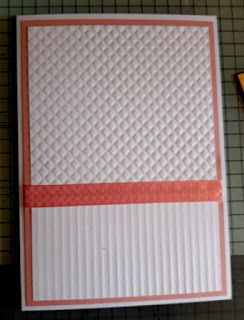 This I then popped with 3 dimensional foam ready to be added to my base card. and added some matching pink ribbon to cover join. 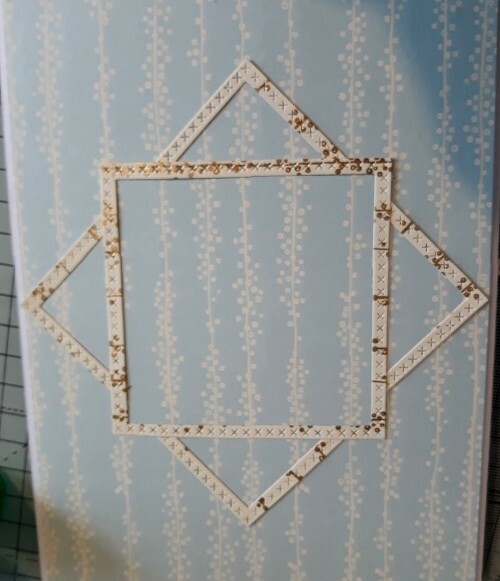 and stuck to centre of card. 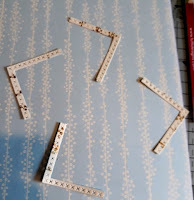 I punched some tiny doves for the corners. I will add congratulations and recipients name when I know who it is for. 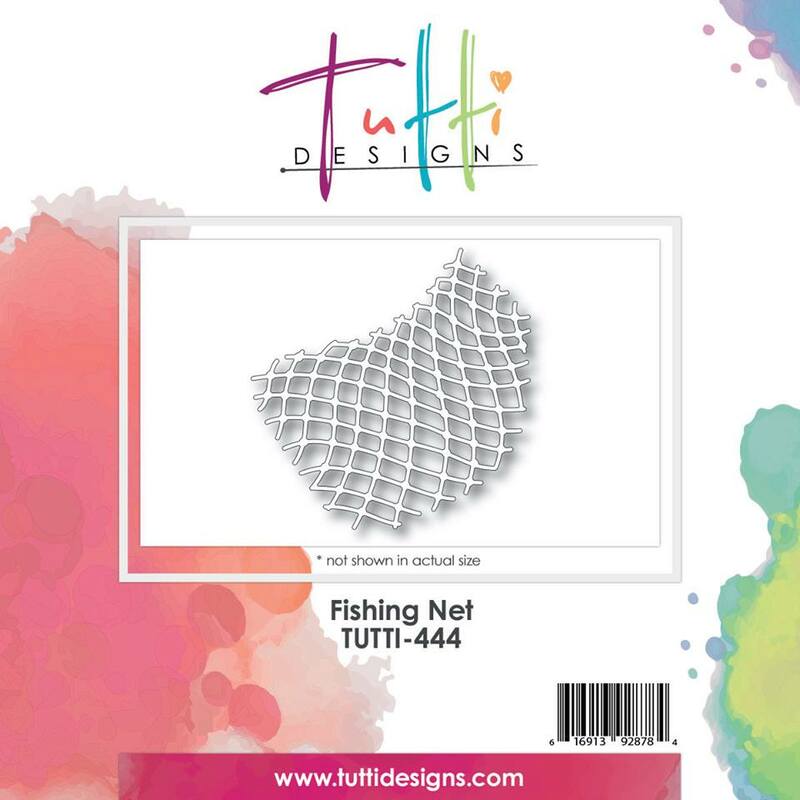 Here are all the Tutti Designs links for your convenience.